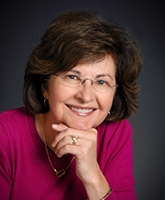 Contact Dr. Mary Anne Jenkins in Cumberland, MD or Romney, WV today! When it comes to picking the right orthodontic office in Cumberland, MD or Romney, WV, choose a team you can count on. At the office of Dr. Mary Anne Jenkins, you can expect the highest quality of orthodontic care in and warm and welcoming environment. If you have any questions or concerns, please feel free to call one of our locations today!